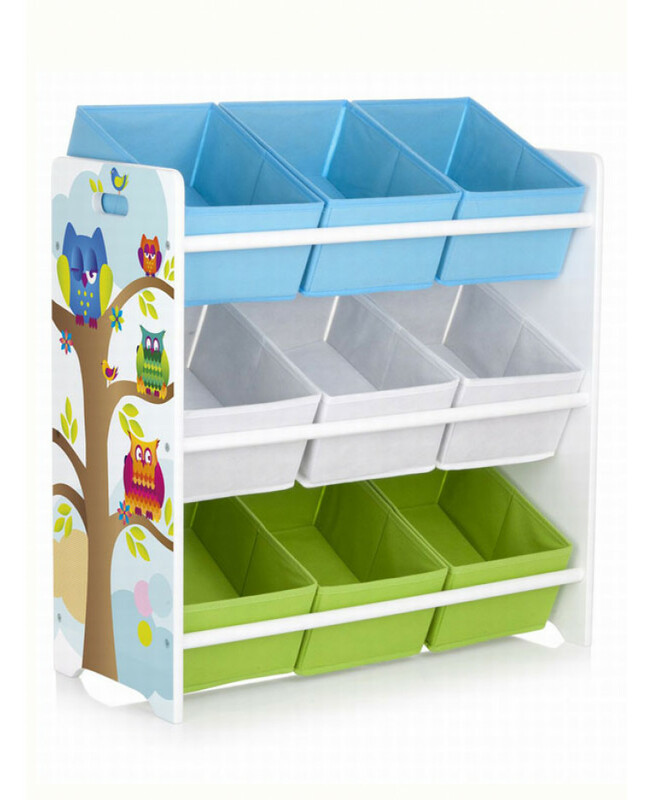 This 9 Bin Storage Unit is an ideal piece of furniture for anyone who wants to have everything in the right place and in perfect order.Its strong MDF frame and 9 removable fabric storage drawers are ideal for storing your little ones clothes, games and toys. You could even write the name of each child or label the boxes with the accessories that you kept in them for the ultimate in organisation. 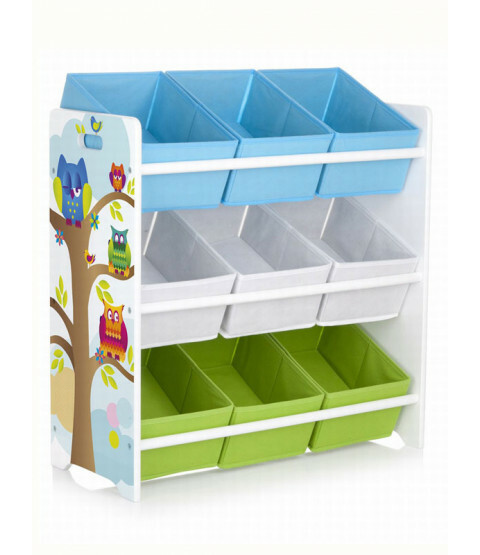 The design has a white frame, which features colourful owls on the side panels with green, white and blue boxes. Matching furniture including toddler beds, tables and chairs and toy boxes are also available to purchase from our website.